The event was hosted at the Walter E. Washington Convention Center in Washington, DC and welcomed a large audience of contracting officers, acquisition executives, program managers, government and military IT professionals plus a wide-variety of federal buyers and industry partners across multiple tracks including Information Technology, Acquisition Management, Project Management, Office Management, Talent Management and Professional Services. Authors also were onsite at FCW Bookshelf LIVE! to share their expertise and field audience questions on topics ranging from cybercrimes and digital government to invention and big data. "We had a packed house at FCW Bookshelf LIVE! for both days," FCW Editor-in-Chief Troy K. Schneider said. "Government attendees obviously wanted to hear the big ideas that our authors brought into the conversation, and the questions they asked showed that they were already thinking about how to apply what they've learned in their jobs." There was also a consumer-focused element of the show in the Happy Fed pavilion which was incredibly popular. Attendees lined up to hear information on a variety of topics from federal benefits to how to build and manage teams to achieve mission goals. "ACQUIRE delivered on its promise to be a platform of learning and professional development opportunities for all federal employees—78% of the attendees were government employees. We're very proud of our first-year achievement and have successfully created a foundation for the future," said Carmel McDonagh, Chief Marketing Officer, 1105 Public Sector Media Group. "This was the start we needed for what ACQUIRE is poised to be—a very dynamic and fast-growing local show." There were 116 speakers and 20 agencies represented on panels hosting thought leadership and training sessions. Attendees enjoyed the variety of courses available and sourced information from leading vendors. The response from attendees and exhibitors was overwhelmingly positive. ACQUIRE 2016 was sponsored by founding partner Professional Services Council, and platinum sponsors Akamai, Deltek and NITAAC. 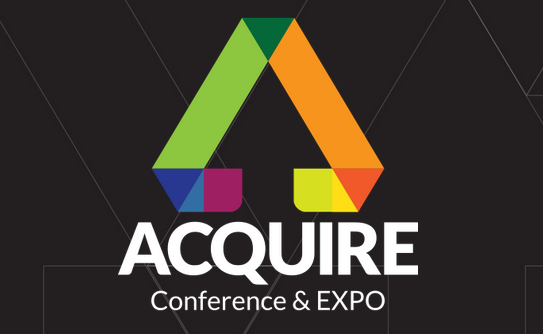 ACQUIRE 2017 will be held June 21-22, 2017, at the Walter E. Washington Convention Center in Washington, DC. Sponsorships and exhibit space for ACQUIRE 2017 are available. Please visit: https://ACQUIREshow.com. (VIENNA, VA., June 3, 2016)— GCN, an 1105 Media brand, is pleased to announce that the call for nominations for the 2016 dig IT Tech Arcade is now open. For 28 years, the GCN Awards have showcased general excellence in government IT. This year, with the GCN dig IT Awards, we are sharpening the focus to showcase what matters most: transformative tech that is truly reinventing government. New this year is the Tech Arcade, an exhibit area open to event attendees that will feature hands-on demonstrations of government agencies' most innovative and leading-edge technologies – from robots to interactive visualizations to augmented and virtual reality. "Most of us are familiar with the Mars rover and DARPA robots, but there’s remarkably cool tech being used in almost every corner of the public sector," GCN Editor-in-Chief Troy K. Schneider said. "Our Tech Arcade offers a chance to see some of those innovations in person, and interact with them in a hands-on way." Technologies in the Tech Arcade should have compelling interactive qualities such as wearable tech, robots, UAVs, and 3D printers to encourage attendee interaction. If you think your technology fits this description; submit your nominations at http://gcn.com/techarcade. Nominations are open until August 31st and anyone may nominate a technology. The Campus Technology Conference, produced by LRP Conferences, brings together thought leaders from the fields of higher education and technology to explore innovative solutions and to develop effective strategies for campus administration, infrastructure, teaching and learning, and more. This year’s conference will take place at the Hynes Convention Center in Boston, Aug. 1–4. 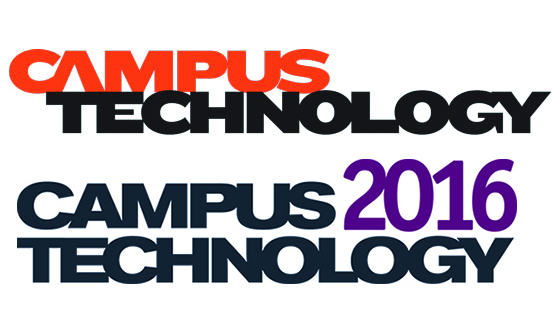 For additional information, please visit www.campustechnologyconferences.com. Vienna, VA, May 20, 2016 FCW, an 1105 Media publication, is pleased to announce that the call for nominations for the 2016 Rising Star Awards is now open. FCW's Rising Star awards program recognizes individuals in the first 10 years of their federal IT careers who have gone above and beyond their official job descriptions. The awards are an opportunity for agencies and contractors alike to give their up-and-comers a turn in the spotlight – both as a reward to those top performers and as an example to others. Rising Star judges look for nominees who not only make a real impact, but also have clear potential to grow into more responsibility in their organizations and in the community at large. The deadline for 2016's submissions is Friday, July 1. "The senior leaders in IT are certainly important, but it's often the rank-and-file talent that really makes an agency run," FCW Editor-in-Chief Troy K. Schneider said. "The Rising Star awards are about recognizing and celebrating those individuals — the folks who are doing great work today, and look poised to be the leaders of tomorrow." (VIENNA, VA, April 26, 2016)— Washington Technology is excited to announce the Industry Days lineup at the ACQUIRE show, a new two-day educational event and tradeshow for government and military professionals looking to deliver on their agencies’ missions. Washington Technology Industry Days will focus on contracting opportunities for small businesses across the defense and civilian agencies. Executives from the Air Force, Social Security Administration, U.S. Marine Corps, Federal Bureau of Investigation, General Services Administration and National Oceanic and Atmospheric Administration will describe their priorities, buying habits, and specific contracts to help small business gain an inside edge. "The speakers we have lined up for the WT Industry Days at ACQUIRE are going to deliver important insights on how small businesses can find opportunities at their agencies," said Nick Wakeman, editor-in-chief of Washington Technology. "In addition to our sessions, the ACQUIRE Show will be a great opportunity for industry to network with customers and potential partners." Produced by the media teams behind the FCW, GCN, Washington Technology, Defense Systems and Federal Soup brands, ACQUIRE is a new two-day conference & EXPO for government, military and contractor professionals looking to deliver on agency missions. Covering a program’s entire lifecycle—from policy setting to end user experience-ACQUIRE offers thought leadership, training courses from a diverse range of government agencies and an exhibit hall packed with vendors. Featuring leading providers of products, solutions and services to the government market, the EXPO floor has multiple pavilions: Information Technology, Acquisition Management, Professional Services and Office Management—plus a Federal consumer experience in Happy Fed. 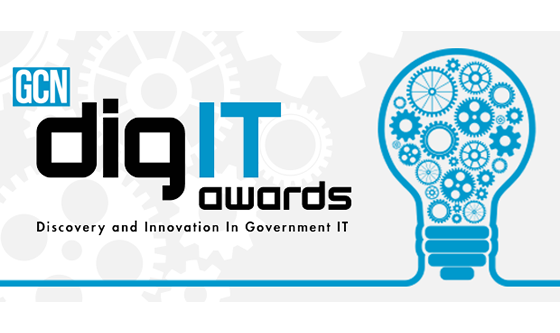 (VIENNA, VA., April 19, 2016)— GCN and 1105 Public Sector Media Group are pleased to announce that nominations for the 2016 GCN dig IT Awards are now being accepted. "Most people know that the government invented the Internet and developed GPS," GCN Editor-in-Chief Troy K. Schneider said. 'But there are so many more examples, each and every year, where public sector is sparking important innovations that don't get nearly the attention they deserve. And governments at all levels are taking new technologies developed elsewhere and using them in remarkably creative ways. That's what led us to the dig IT acronym – this discovery and innovation in government IT should really be put in the spotlight." The 2016 awards will celebrate leading-edge technologies and the pioneering IT professionals who are driving them forward – a shift from celebrating the teams and project management to an emphasis on the tech that powers key government programs. Anyone may submit a nomination, and all projects developed, tested or deployed by a government agency are eligible. For each category, a list of finalists will be announced in late July, with the winner named the night of the event by a tech visionary. 2016 Award categories include: Cybersecurity; Cloud & Infrastructure; Data, Analytics & Visualization; Mobile and Robotics & Unmanned Systems – plus an award for the disruptive technologies that are emerging so quickly they don't fit into any of these categories. GCN Award winners will be featured in the October issue of GCN and at the GCN dig IT Awards Gala celebration October 13, 2016. At the Gala, 1105 Media will also honor individual employees from the public and private sectors as FCW’s 2016 Rising Stars. These individuals, who are in the first 10 years of their federal IT careers, have made significant impacts on the government technology community and appear poised for broader leadership roles in the years to come. For more information on the GCN dig IT Awards and to submit a nomination, visit www.gcn.com/digIT. (VIENNA, VA., April 12, 2016)-FCW, an 1105 Media, Inc. brand, announced the recipients of the esteemed President's and Eagle Awards at the 27th annual Federal 100 Awards Gala held at The Marriott Marquis in Washington, D.C.
Renato "Renny" DiPentima, a five time Federal 100 award winner and Eagle Award winner in 2003, was honored with the President's Award at the gala for his career-long commitment to mentoring young and midcareer government executives and those who are transitioning to industry. "A central theme of the Federal 100 awards is that people are the most precious IT commodity," FCW Editor-in-Chief Troy K. Schneider said. "Mary, Renny and Dan are especially good examples of that — their commitment to building relationships across government and industry, seeking out all the stakeholders and mentoring the next generation of leaders is absolutely critical to the federal IT community." Detailed winner profiles are featured on FCW.com, and appear in the April 15 print and digital issues of FCW. (VIENNA, VA, April 7, 2016) - 1105 Media, Inc. is excited to announce that Joshua Cooper Ramo, author of the international bestseller The Age of the Unthinkable and the new book The Seventh Sense: Power, Fortune and Survival in the Age of Networks, will deliver the keynote address at the ACQUIRE Conference & Expo on June 8, 2016 at the Walter E. Washington Convention Center in Washington, DC. A Mandarin speaker who divides his time between Beijing and New York, Ramo has spent over a decade witnessing, firsthand, the remarkable rise of a superpower. He understands China in all of its dynamism and complexity. His papers on China's development, including "The Beijing Consensus" and "Brand China," have been widely distributed in China and abroad. The World Economic Forum called him "one of China’s leading foreign-born scholars." "Keynote Joshua Cooper Ramo will bring attendees on a journey of powerful ideas as he illuminates our changing world, "said Carmel McDonagh, Chief Marketing Officer, 1105 PSMG. "The ACQUIRE show team is committed to providing a way for our local audience to hear from a variety of thought-provoking speakers, and we believe that THE SEVENTH SENSE presentation will deliver on this promise." Ramo joins Gabrielle "Gabby" Giffords, former Arizona Congresswoman, and Mark Kelly, retired astronaut and U.S. Navy Captain in the inspiring ACQUIRE keynote lineup. Produced by the media teams behind the FCW, GCN, Washington Technology, Defense Systems and Federal Soup brands, ACQUIRE is a new two-day conference & EXPO for government, military and contractor professionals looking to deliver on agency missions. Covering a program’s entire lifecycle - from policy setting to end user experience - ACQUIRE offers thought leadership, training courses from a diverse range of government agencies and an exhibit hall packed with vendors. Featuring leading providers of products, solutions and services to the government market, the EXPO floor has multiple pavilions: Information Technology, Acquisition Management, Professional Services and Office Management - plus a Federal consumer experience in Happy Fed. (VIENNA, VA., April 5, 2016) - 1105 Media is pleased to announce that THE Journal, the premier resource for senior-level K-12 education technology professionals, has taken significant steps since the re-launch of their print product in January 2015 to increase their already expansive coverage of the K-12 technology marketplace. This includes the establishment of a successful Readers' Choice Award Program, the launch of two new industry surveys: IT Salary & Job Satisfaction and Teaching with Technology, and two new staff hires. "The fact that we've launched back into print, that we're launching new research projects and awards programs and that we're now staffing up the editorial department shows exceptional momentum at a time when other publications are scaling back," said David Nagel, Editor-in-Chief of THE Journal . "We believe in education technology and in the promise it holds for the nation's schools, colleges and universities and the students they serve, and we're committed to the industry and supporting the education community." The IT Salary and Job Satisfaction Survey - the only one of its kind in the K-12 education space - polled educators' thoughts on their current career, future prospects, budget, salary and working conditions. The Teaching with Technology Survey will gauge the attitudes and experiences of America's educators toward the technologies they use in their classrooms. It will explore their preferences, level of confidence in their abilities, belief in technology as a teaching and learning tool and outlook for the future. "Richard and Sri each bring a great set of skills to the position and will make valuable additions to our team. They'll be reporting on some of the most important topics in technology that are helping to shape the discussion around 21st century learning, from technologies that enable new teaching methods to issues surrounding the protection of student data privacy," said Nagel. "We welcome them to the team and are excited about the contributions they'll be making to our readers and the industry."